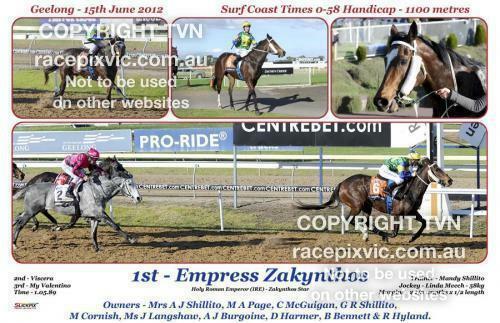 Empress Zakynthos was able to finally show us this prep that she has the ability we knew she had. It was both exciting and a relief to see her come away with the win at Geelong. After drawing 11 of 12 we just hoped for no bad luck and although 3 wide without cover she proved too strong. She has pulled up from the run wit no issues. Hopefully Valentino's Dancer is able to gain a start at Geelong this Friday. He has been working very strongly since his last performance as we aim to get him over more ground. The rest of the team are advancing through their preps with the minimum of fuss. A number are closing in on serious trials which will hopefully head to some promising debuts or returns in the next month or so.